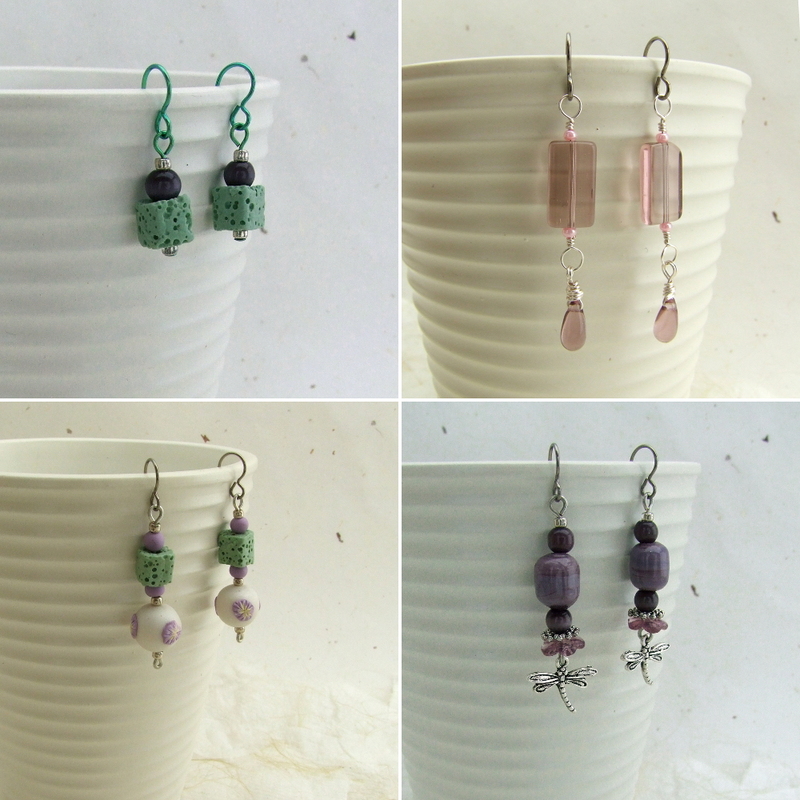 Because the babies don’t leave me much time to clay, I have been working on “quick win” projects like earrings, and completing some of my UFOs (unfinished objects). 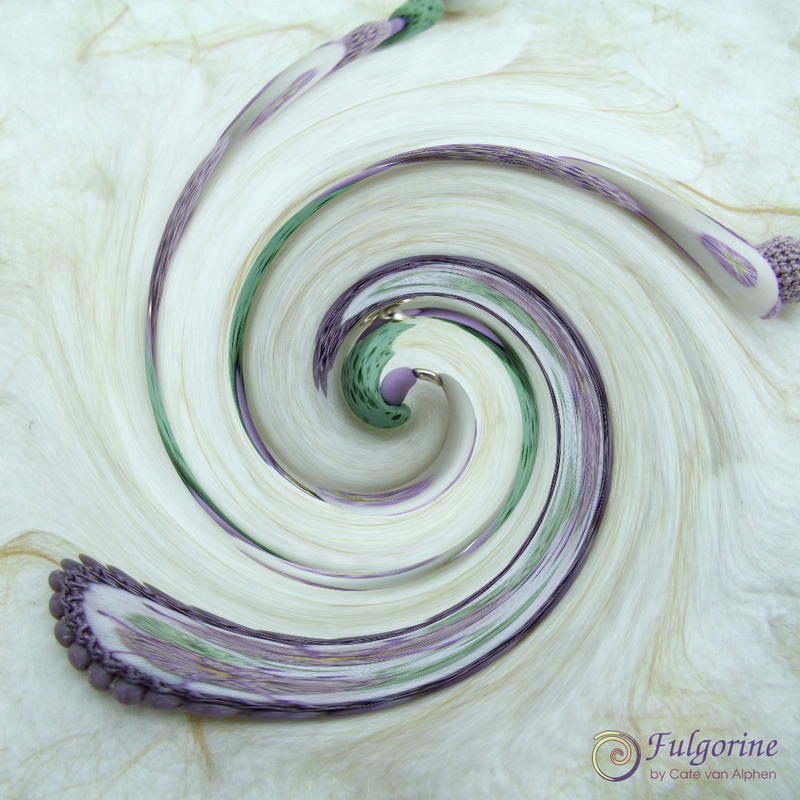 A while back, I experimented with diy expanding foam as a core for polymer clay. 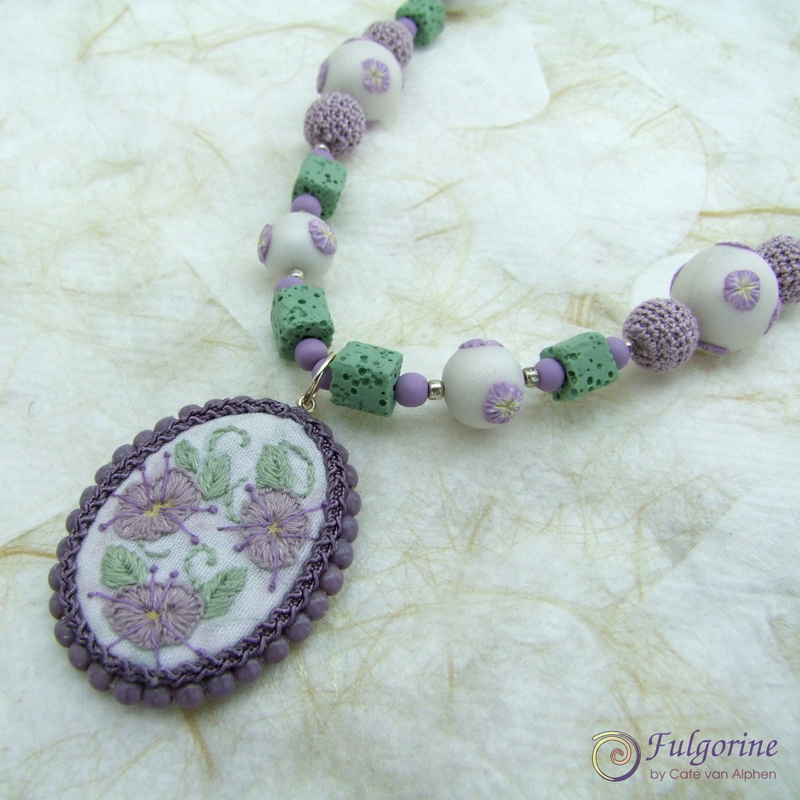 At the time I decided to wait and see if there would be a reaction between the polymer clay and the polyurethane foam – that was now nearly two years ago (:o) and so far all is well. 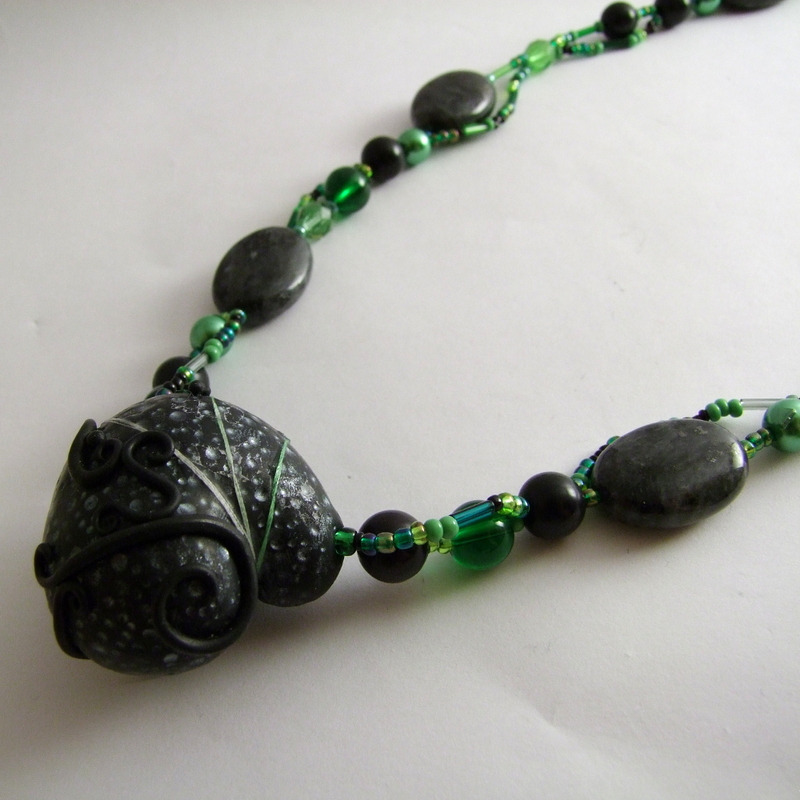 I call the focal bead “Space Rock Creature”. 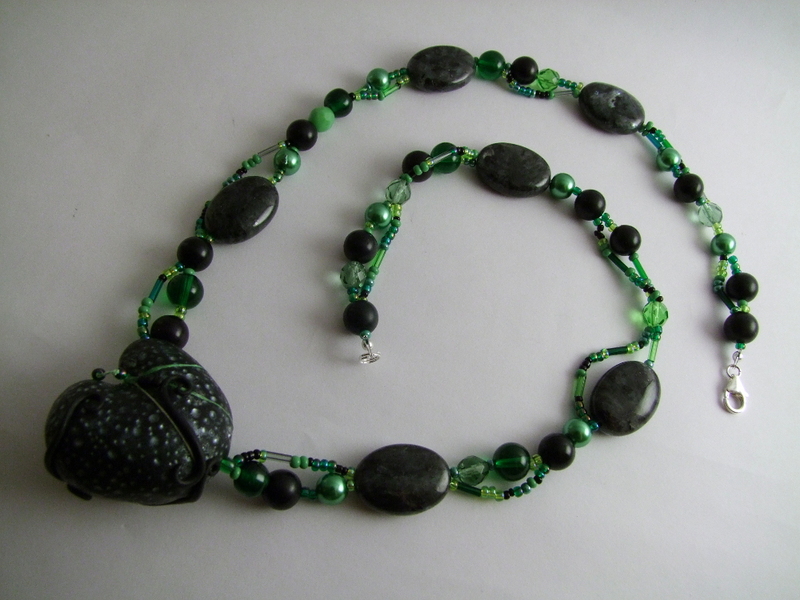 I used a mix of glass beads, crystals and pearls (faux) to string it, and I found a home for some of the beautiful stone oval beads sent to me in the Bead Soup blog party back in 2012. 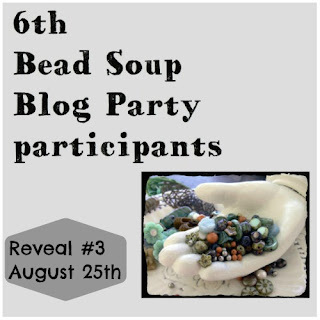 Today is the third reveal for the Bead Soup Blog Party. I was in the second reveal on 11 August. 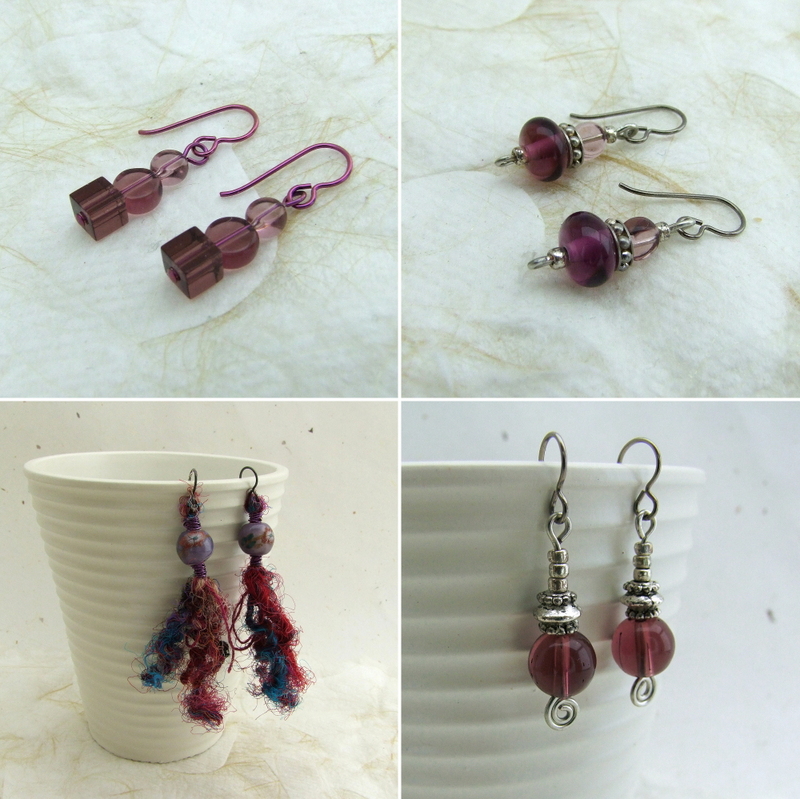 Head over to Lori’s blog to find the list of participants (be sure to scroll down to the 3rd reveal) and have a look at all the wonderful creations. 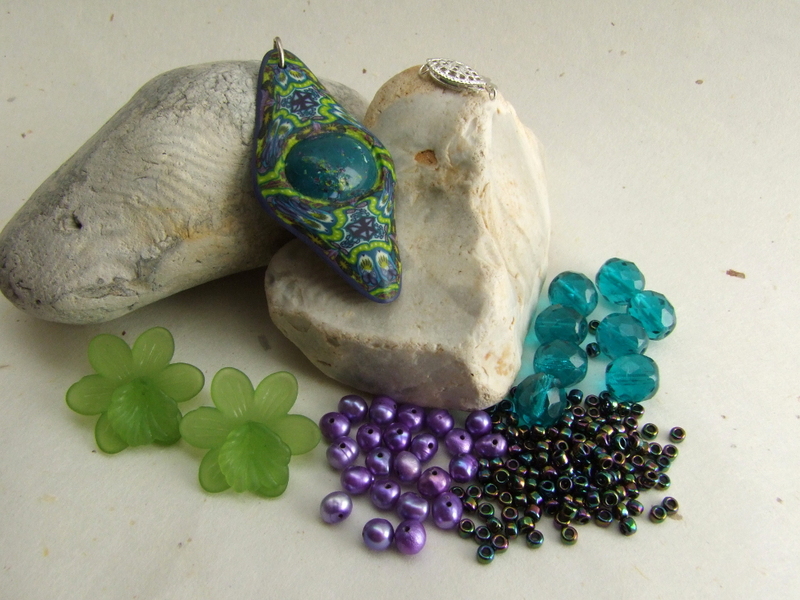 Welcome to my reveal for the 6th Bead Soup Blog Party. 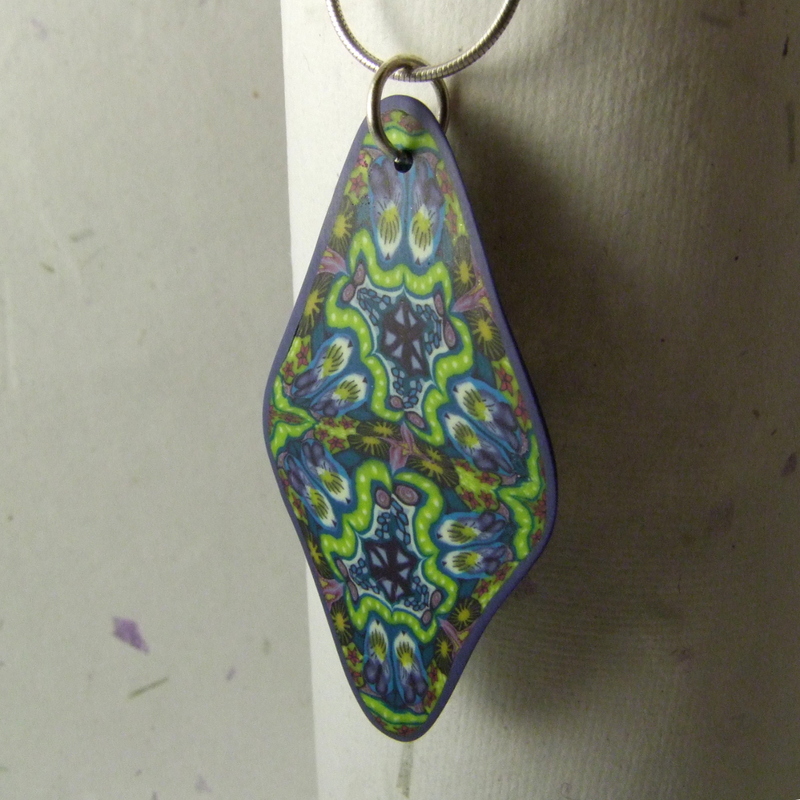 This is the second of three helpings of beady loveliness. 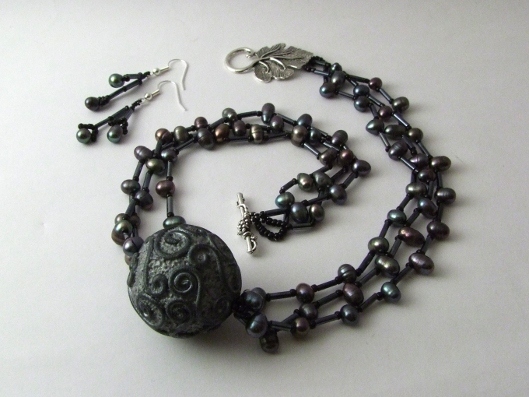 My partner Dorota Żerańska sent me a super generous selection of wonderful beads. Here is an overview photo, for more details see my earlier post. 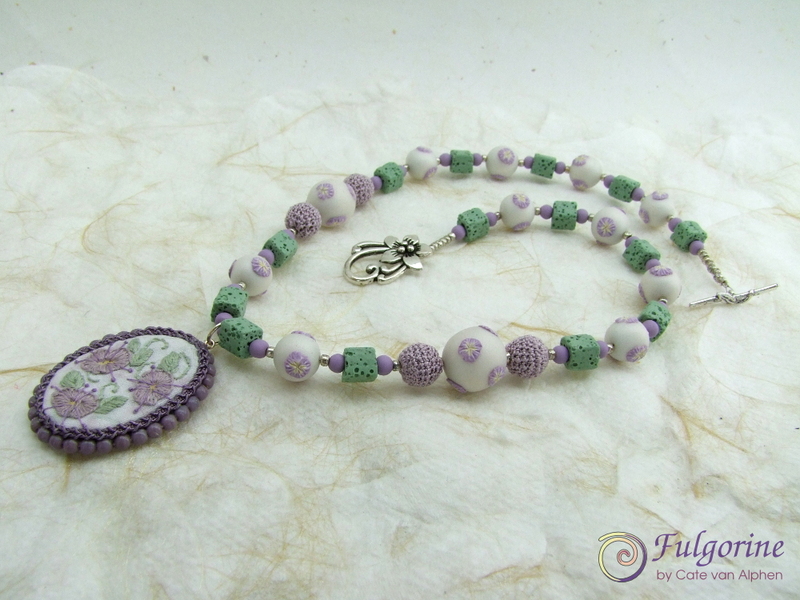 The first beads I unwrapped were the large white ones (I think they are coral) and they reminded me of a shell focal that has been waiting in my todo box for years. I knew I wanted an all white necklace and it was to be called “Mermaid’s Purse”. 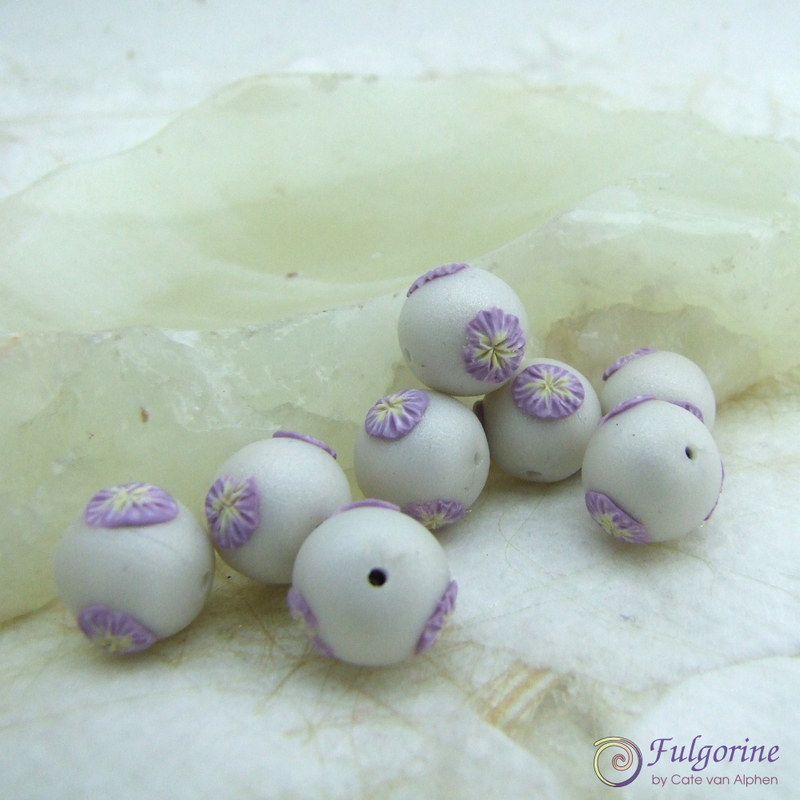 I was intending to make faux shells and coral from polymer clay, but then I unwrapped actual shell beads, and white stone disks. 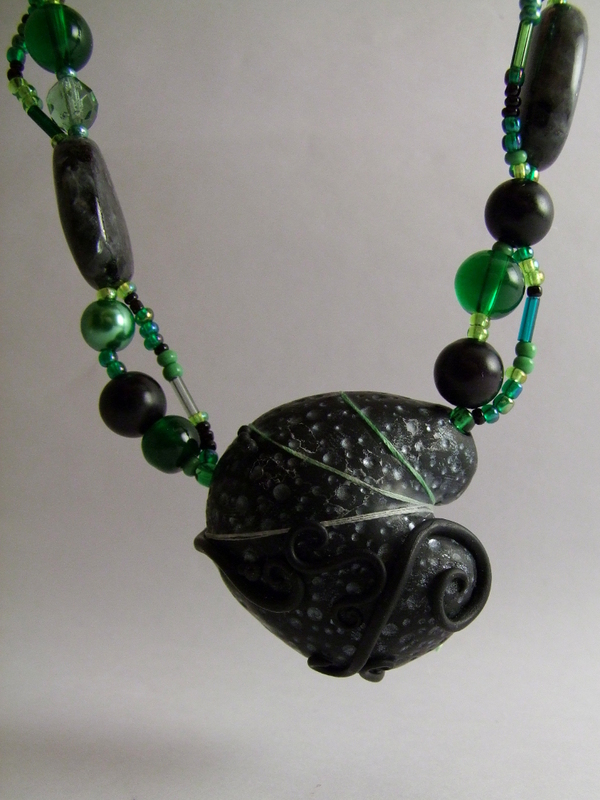 If that wasn’t enough confirmation the final bead I unwrapped was the mermaid herself! Now that the mermaid had her bling (and a matching pair of earrings) it was time for me to consider where she herself would be at home. 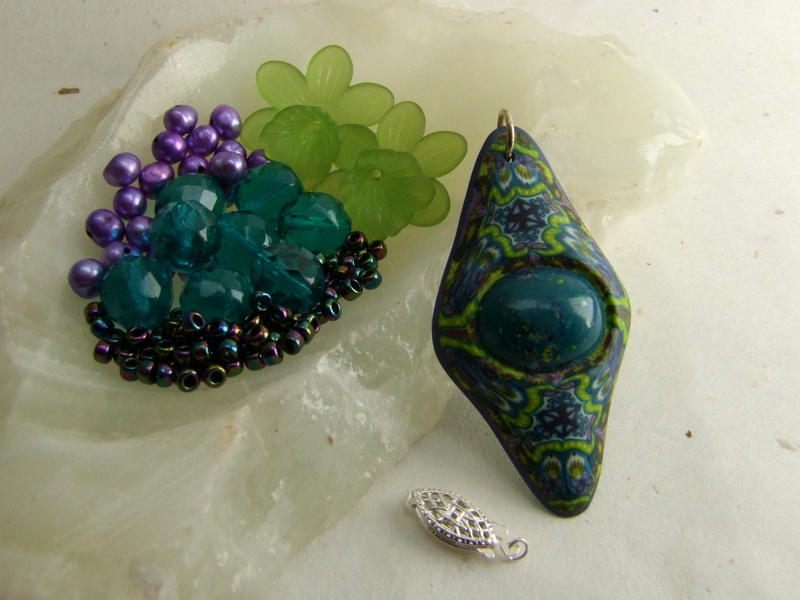 I noticed that the stone chips had beautiful flashes of blue which matched some blue ribbon yarn I had. 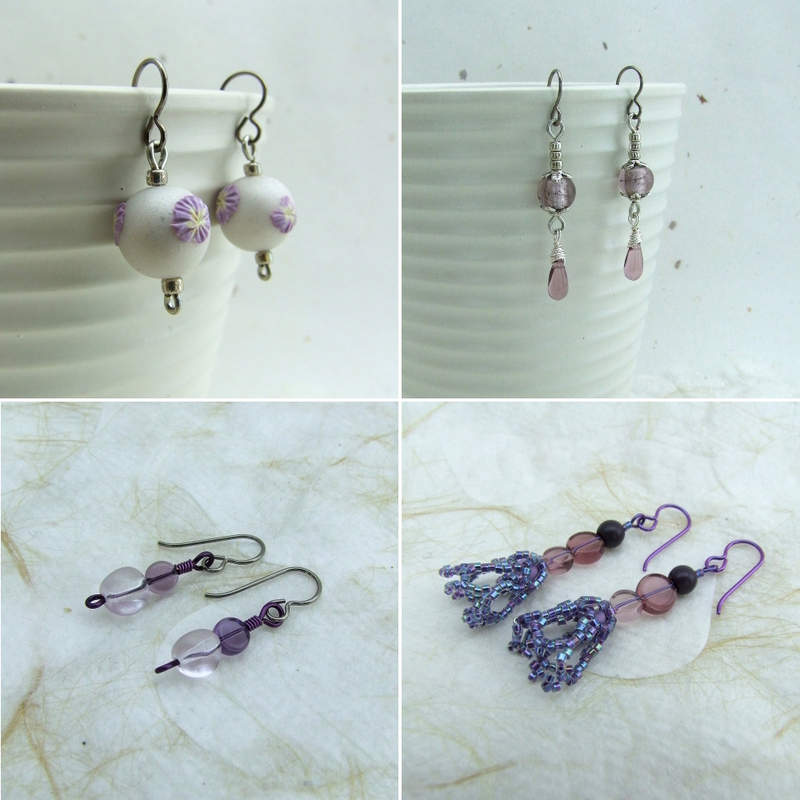 I used some tiny red seed beads that matched the mermaid’s colour to make some branched dangles and created “Mermaid’s Rock-pool”. 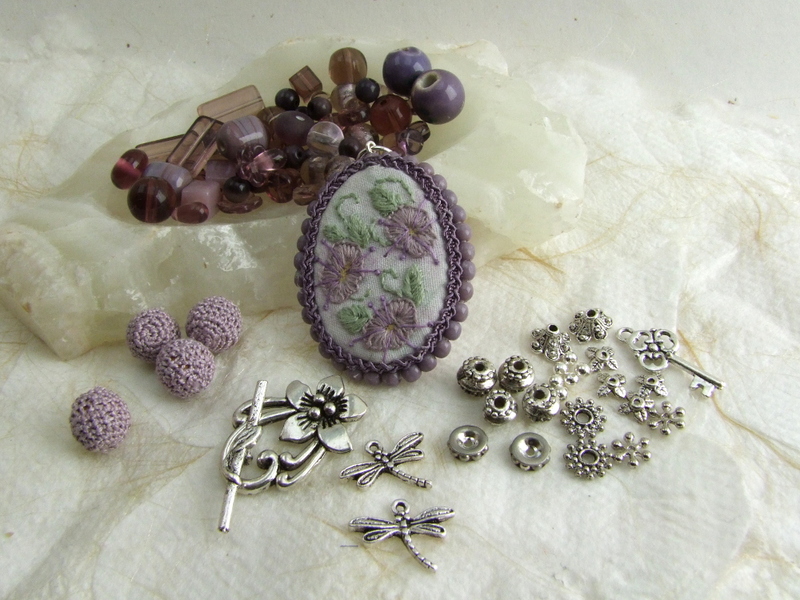 I then noticed a tiny bunch of grapes on the toggle Dorota had sent and realised that the colour of the pearls reminded me of the velvety shimmer you get on black grapes. 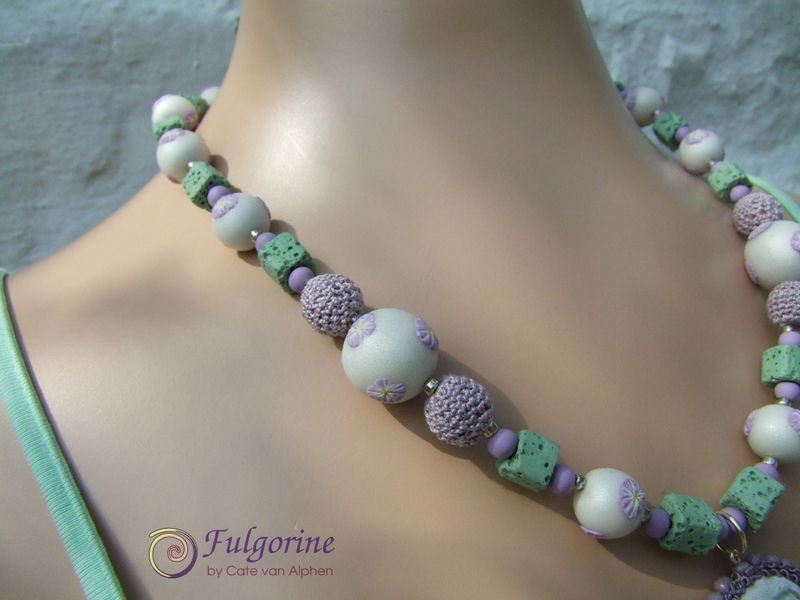 I used one of my polymer clay focal beads which had a vine-like filigree pattern and made a multi-stranded choker and a pair of earrings. I also made two bracelets. 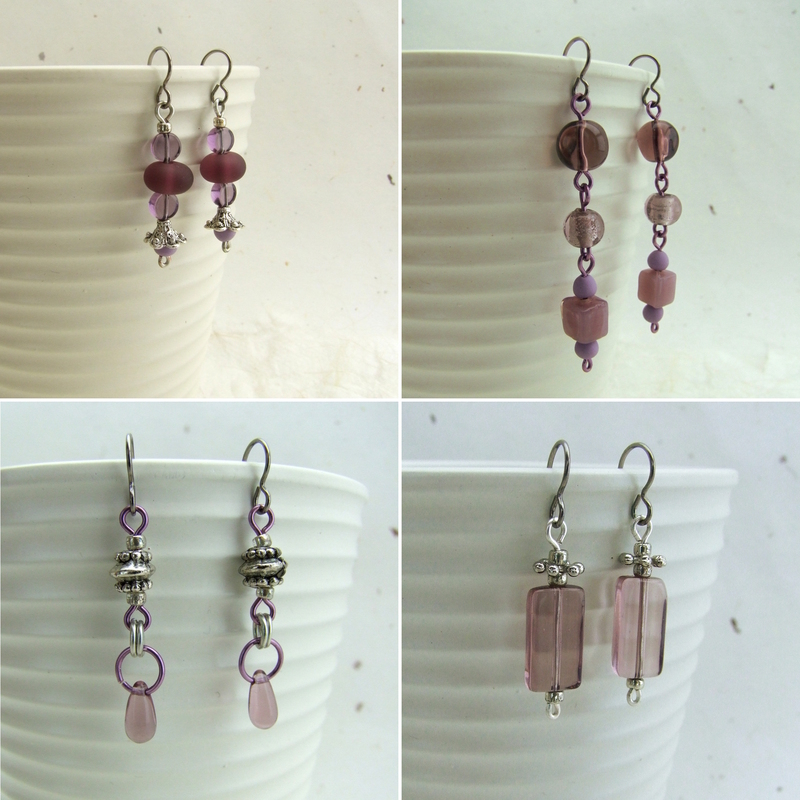 And a third pair of earrings. Dorota even sent me ear-wires! 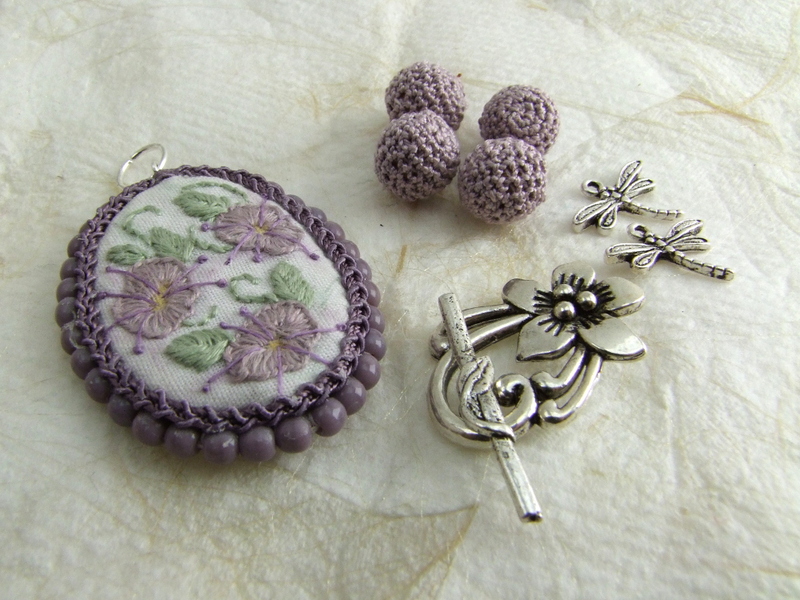 To celebrate this party I’m offering a 20% discount in my Zibbet shop until the next reveal date (25th August 2012). Enter coupon code BSBP6. 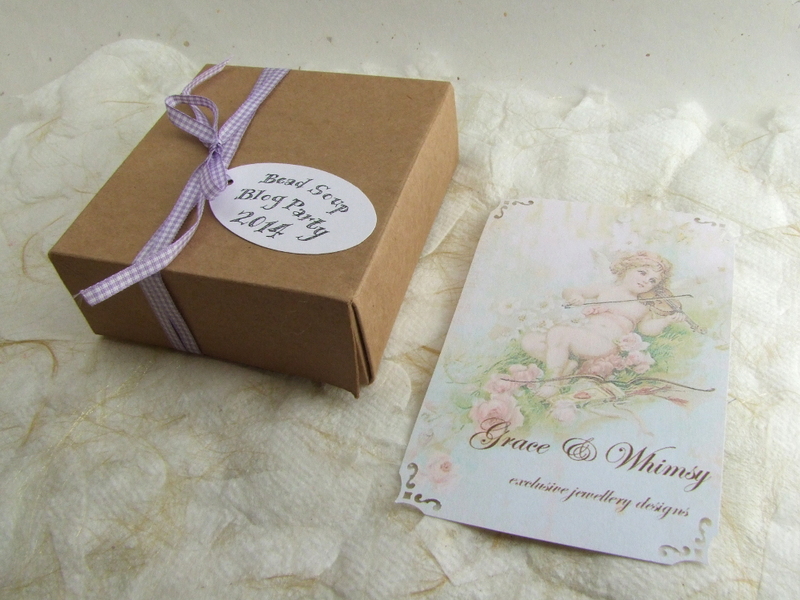 Also there may be a free surprise gift available if you are willing to pay it forward.